Preparing For Our Children's Future: "If Mama Ain't.." Best Planner/Devotional Ever!!!! 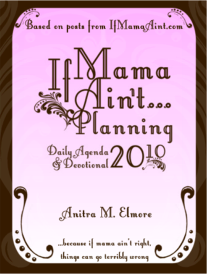 "If Mama Ain't.." Best Planner/Devotional Ever!!!! I found one of the most exciting things today over on Mom Bloggers Club! It is a planner! Not just any planner though! I have looked at a lot of planners over the past year and none of them seem to be everything I want, plus they cost an arm and leg and I just cannot do that for something I will have to get new every year! But this one Will work!!!! YIPPEE! 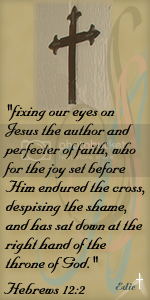 You really have to check it out! I think I like every feature on it! This planner is for busy moms who want to plan there days and months AND have their devotional, all in one! 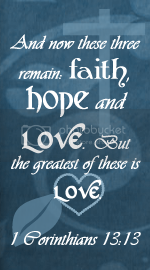 With spaces for weekly goals, daily menus, memory verses, daily Bible reading, and motivation! This planner makes you reflect, start new every month and helps you grow not only as a better planner, but spiritually too! I am looking forward to using this to help me keep up with my new menu plans, work outs on the Bow Flex, book reading plan AND help me memorize scriptures, focus more on prayer and devotional reading, and develop spiritual habits!